The drama surrounding the 91st Academy Awards rages on (and on). According to Variety, insiders are now saying the annual award ceremony will go without a host. That’s right, folks. 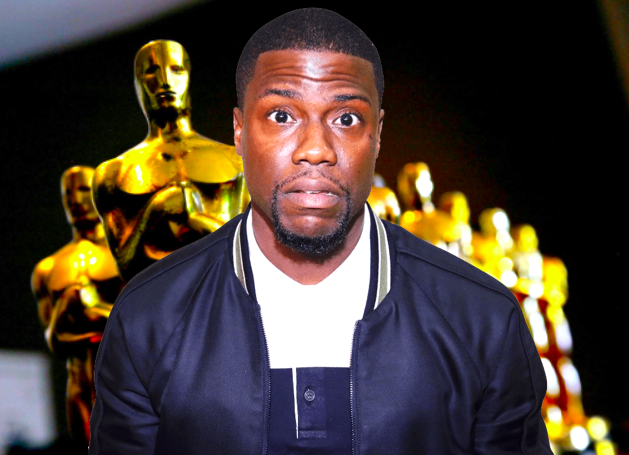 For the first time in over 30 years, the biggest night in movies will be host-less after comedian Kevin Hart pulled out of the gig and refused to apologize for 40+ homophobic tweets that resurfaced from his Twitter page. Producers will select a crop of A-listers to introduce various segments instead of relying on one marquee name to kick things off in a monologue filled with Trump zingers, said the insiders. The producers and the Academy of Motion Picture Arts and Sciences, the group behind the Oscars, are scrambling to line up top talent needed to carry the telecast, which is just six weeks from airing live — on Feb. 24 — from Hollywood’s Dolby Theatre. Hand-wringing at the Academy has been palpable. According to insiders, no one has been offered the opportunity to fill Hart’s space, and no offers are expected to be made. Meanwhile, Hart went on Good Morning America yesterday to say he’s “done” the whole thing. When pressed on how he his views on LGBTQ people have “evolved”, Hart refused to answer the question. The 91st Academy Awards are set to take place at the Dolby Theater in Los Angeles on February 25. Last year’s show delivered an all-time low in ratings, down nearly 20% from the year before, to 26.5 million viewers. For some reason, we don’t think this year’s ratings will me much better. So after a series of non-apologies, now he blames anyone who is bothered by his comments. It would be better if he stopped talking now. Actually, it would be better if the media stopped interviewing him and shut about him. Then he’d stop talking. It would be best if both of those things happened. It’s also not a first, as this story claims. There have been several previous Oscars in which there have been multiple hosts, which is what they are now planning to do. Is this still a thing? I already didn’t like Kevin Hart but I’m not sure I can like him even less. He should have said …telling gay jokes is just a preference.